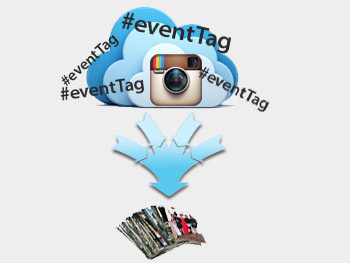 Guests posts photos on Instagram with event #hashtag. Photos newly tagged streamed to our system in real-time. WhatsApp your image to a number displayed during the event. Connect and engage your guests and target audience using mobile social media. No more looking for photographer. Anyone with Instagram can be a photographer. Creating event and brand awareness. Build brand awareness on social media with Instagram’s more than 90 million active monthly users. Enjoy all the benefits of PhotoPlay Instant Printing workflow. See here for more details. More than 1700 photos tagged during an event. This service uses the Instagram™ API and is not endorsed or certified by Instagram or Burbn, inc. All Instagram™ logos and trademarks displayed on this site are proprty of Burbn, Inc.